The CAPRI-EASY swim to end the season! Want to finish off the season with a swim you’ll remember all winter long? 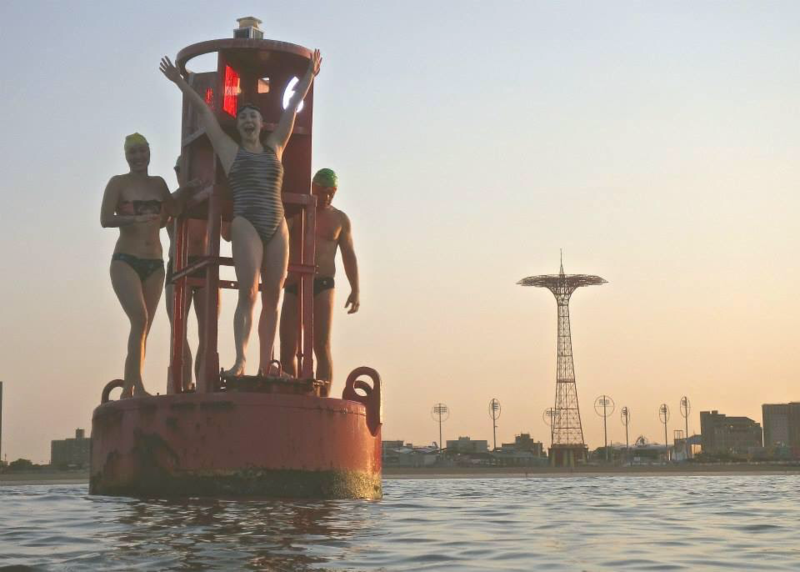 Capri has come up with a new swim from the Verrazano-Narrows Bridge to Red Buoy #6 (just West of the Coney Island Pier). It’s only 4.6 miles with a lot of current assist. It’s the shortest of Capri’s introductory marathon swims – a “Capri-easy”. There are few bridges more elegant from below than the VB, a great place to start a swim, and with the current at your back you will feel like you’re surfing the Hudson out into the New York Bight. You then take a left a Norton Point at Seagate and swim towards the Coney Island Pier – again with the current assisting you. Suddenly, you’re done. What? Done already? I want more, you say. Don’t fret, we’ve got you covered. Meet on the beach at 21st St., ready to swim 500 feet out to and board RHIBS. Swim will start at Verrazzano Bridge – finish at Red Buoy #6 – and swimmers will swim back to shore. For safety, we reserve the right to cancel due to adverse weather or other unforeseen conditions. We will notify you by 10pm the night before your swim if adverse weather like 25mph winds, hurricanes, tornados, earthquakes, tsunamis, etc. make it unsafe to do the swim. Venue: Beach at 21st St.